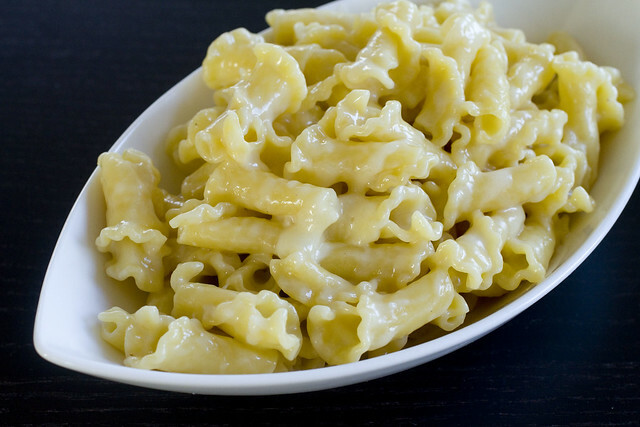 When I first began wanting a quick mac & cheese, I started to just melt some cheese, whatever was in the fridge, on pasta. It was ok since melted cheese is never bad, but it didn’t quite satisfy that craving. I soon discovered that melting brie give it that luscious creamy texture, similar to what a bechamel sauce does. However, using just brie, the flavor won’t be right. I added some cheddar for sharpness and Lon applauded. After a few more tries, I’ve decided that my favorite quick combo is brie and American cheese, a little sweeter than cheddar. To help the melting and mixing in the pot, a little liquid helps, yet sometimes I didn’t have milk on hand. Chicken broth works just as well. So try it out and let me know what you think! Save time and enjoy more family and friends this holiday! Merry Christmas! Cook pasta according to box instructions. Drain and return to the pot and turn the heat down to very low. Add brie, American cheese, milk/broth and stir until melted and well distributed. Sprinkle with a dash of white pepper. Stir and serve immediately. Rachel, I use the one from the deli. They can sell it in a chunk and not sliced if you ask. I used white but you can use yellow also. Brie is a fantastic idea! I tried using cream cheese once, and it just wasn’t the same, so I’ll have to try this as a super quick snack! 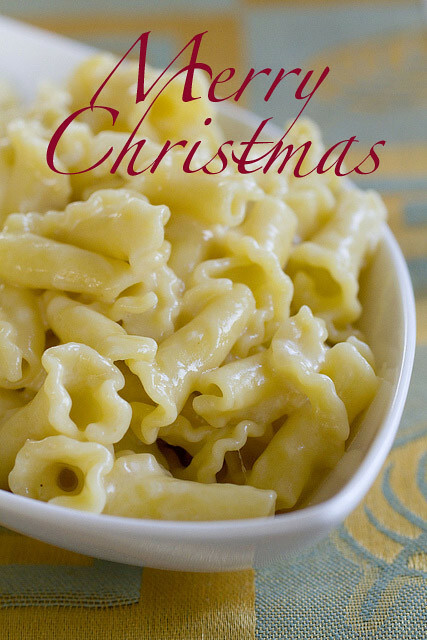 Yum, non-baked mac & cheese sounds really good. I am not a fan of American cheese though-so I will use cheddar. I would have to double or tripple the recipe because my family would want some. I prefer the mac & cheese recipes that don’t have the bread crumb topping so this will definitely be a good choice over the box stuff. Merry Christmas Jess! Thanks for the easy dish that’ll definitely come in handy! Warm wishes to you and Lon for a wonderful holiday – which will be even brighter next year with your new baby! Thanks TS and JS! Happy and healthy holidays to your family too! EMC, looking fwd to your thoughts on this. Melissa, let me know how you and the family respond to this recipe. Merry Christmas Andrea! Hope you are having a great holiday and I hope to see you soon. 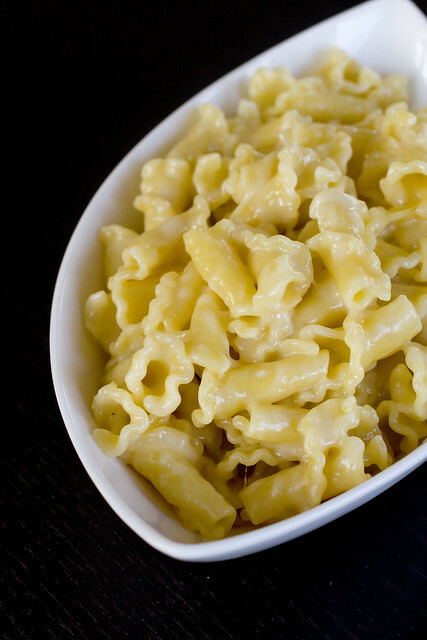 Your mac & cheese looks wonderful. Hope you had a merry Christmas. love the shape, love the rare use of brie. great dish! Dang — I love that it’s both fast and still classy from the brie. Deeelish! Happy New Year! Glad everyone likes! Happy New Year lovely ladies!